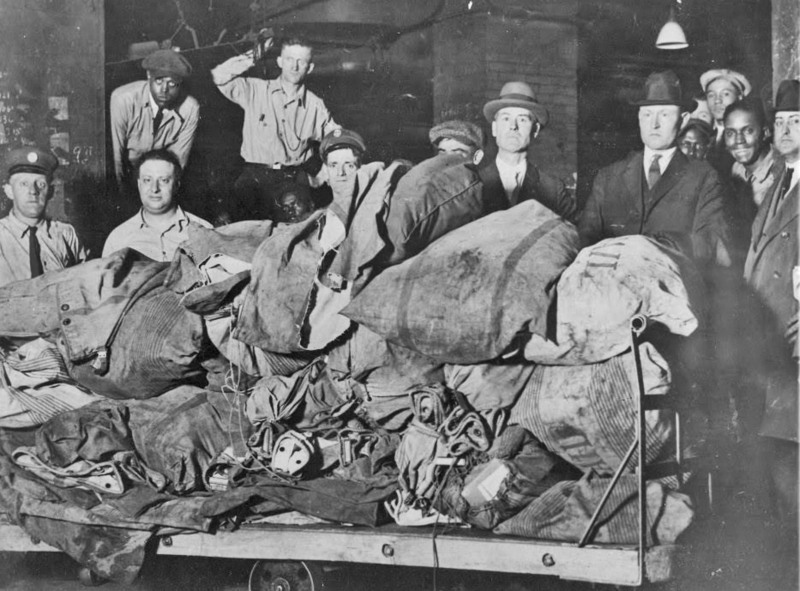 Railroad employees pose with some of the recovered money sacks. Willis is pictured in his later years. After his release from prison, Willis worked at odd jobs but was again arrested and sent to McAlester prison in Texarkana, Arkansas, for hauling whiskey. Later, Willis and Joe were charged with an Oklahoma bank robbery that they did not commit. Willis served seven years, and Joe served 10 years. Later in life, Jess worked on ranches near Uvalde, until he died of lung cancer in 1960 at age 73. Dock worked on farms in Oklahoma and Missouri and ran whiskey for a time. In 1968 he was arrested for attempted bank robbery in Rowena, Texas, at age 77. While being arrested, he was struck in the head, which resulted in brain damage, and was sent to Fort Stockton prison hospital. Once recovered, he was released with time served and he returned to Uvalde where he died of cancer in 1974 at the age of 83. After Joe’s release, he worked on a Uvalde ranch, in a butcher shop, a drive-in, and on Dock's farm in Oklahoma. He died Feb. 3, 1989, at the age of 88. Willis, the leader of the Newton gang, returned to Tulsa where he ran a series of gas stations and nightclubs and maintained criminal connections. He rarely spoke about these years, but was linked to "nightclub wars" and was the victim of an assassination attempt at one point, being shot through his bathroom window while shaving. He survived and a series of nightclub arsons were reported during the same period. He eventually returned to Texas and farmed with his wife Louise. He died on Aug, 22, 1979, at the age of 90. After the April 6, 1934, murder of Constable Cal Campbell by Clyde Barrow and Henry Methvin in Commerce, Okla., Joe and Willis allowed the Barrow Gang to hide out in a house they owned in Tulsa. The famous “f’an” letter to Henry Ford from Clyde Barrow that praised Ford’s V8 as an excellent getaway car was mailed from Tulsa on April 10, 1933. It’s possible Barrow wrote it at the Newton house. Willis’ personal opinion of Bonnie and Clyde was quite low, however. He called them "silly kids" who only robbed filling stations and indiscriminately killed people. Dock’s arrest in 1968 because the subject of an article in Life magazine on April 19, 1968. Willis was implicated in another bank robbery in 1973, in Brackettville, Texas, but there was insufficient evidence to arrest him. That arrest, and the Life article, eventually led to their book and the 1998 movie (loosely) based on their careers. Willis even appeared on the Johnny Carson show in which he discussed the brothers’ careers. 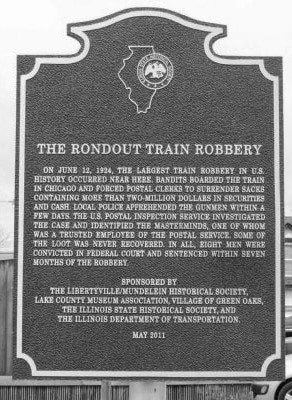 The mystery of the Rondout robbery is just how much was actually stolen. The $3 million is an estimate and, despite newspaper reports, only about $1.5 million was believed to have been recovered. Some believe the bulk of the unaccounted for cash ended up with O’Banion and Weiss (no surprise there). In the end, however, no one can say for certain what happened to the missing money. A sign still stands at the site of the Rondout robbery, noting what happened that June night. 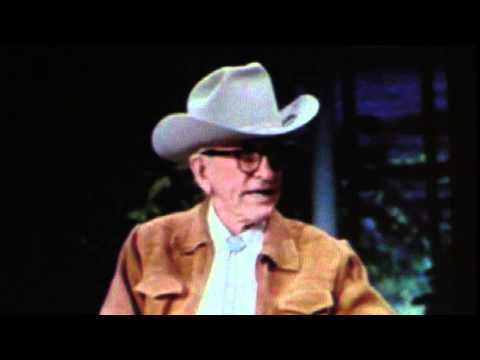 Joe Newton is pictured on the Johnny Carson Show discussing his colorful career.